For material thickness 0.25" through 1.25"
Our SH-Series Traveling Sheet Saws provide a one-way cut with below-the-table saw return. 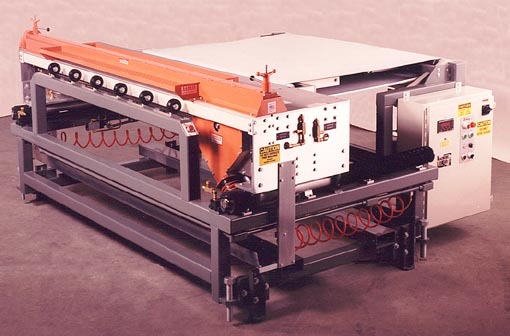 All SH Series traveling sheet saws provide a 10 HP, variable-speed saw motor and a 20 inch table travel. Electronic length measurement is standard. 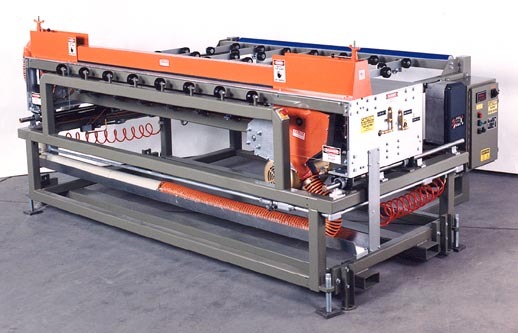 For material thickness 0.06" through 0.38"
Our SS-Series Traveling Sheet Saws provide one- or two-way cutting with variable cutting and travel speeds. Table travel is 24 inches.